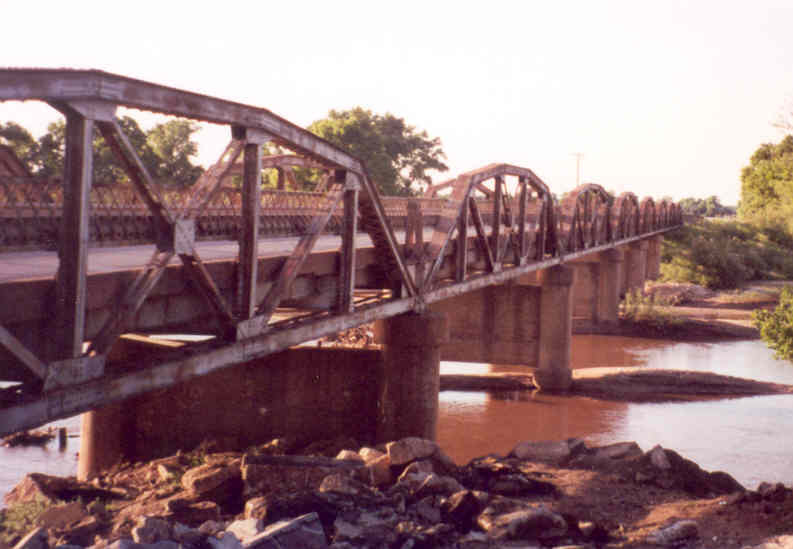 Built in 1918, this is one of the oldest examples of a multiple-pony truss bridge still in use in Oklahoma. The bridge is made up of eight 100' long state-standard design pony truss spans, and is the oldest example of such a bridge left in the state. Below, a view along the west side of the bridge looking north. Visible next to the bridge in the river are the rotting remains of wooden piles from an earlier crossing. 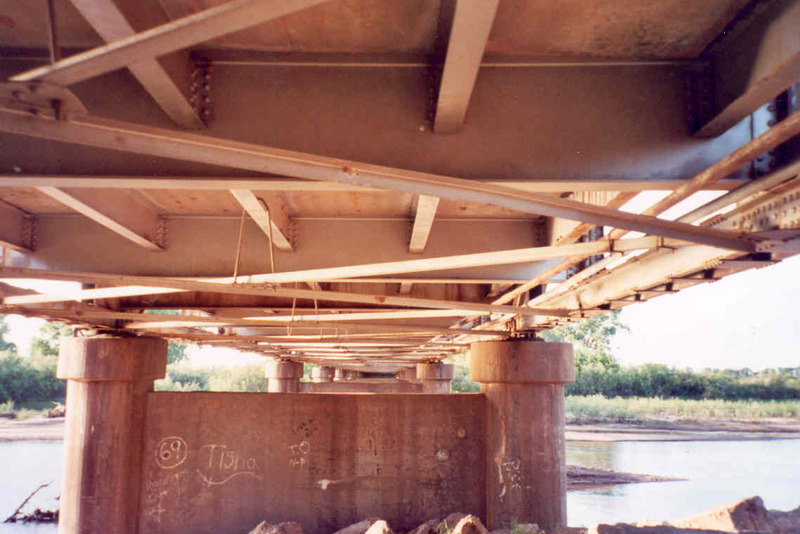 Notice also the lightweight triple-intersection laced guards on the spans. Above, an underside view of this early state-designed structure. Virtually every construction detail you see here was duplicated on all truss bridges built up until the 1960's. both the concrete and steelwork were found to be in good condition. Below, the east side of the bridge looking north. Below, deck view looking north. The deck of this bridge is 18 feet wide.